The London Ringways were a set of urban motorways planned for London in the 1960s and 1970s. They would have been the largest civil engineering project since the war – and cost between 60,000 and 100,000 people their homes. They would have devastated the environment and turned London into a car dominated city. 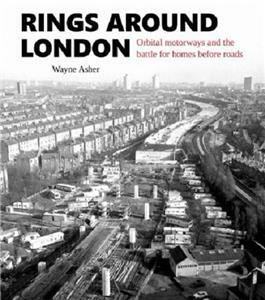 This is the first full-length history of the Ringways; what they were, where they would have gone – and how Londoners fought them off. Wayne Asher is a former journalist turned IT manager. His first book – A Very Political Railway – examined the near death and rebirth of the North London Line.